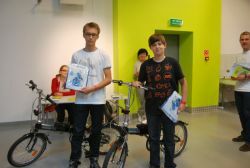 The ADFC Rostock elaborated a storybook for young cyclists titled “My bicycle, my city and me”. The book contains texts and pictures about the history of cycling as well as the bicycle and its technical details and advantages. Two children are guiding through the book which closes with their advice on how to cycle safely. Photos show the two children in typical traffic situations. The book was printed in 2000 copies and disseminated to kindergarten, the local traffic school and the regional parents’ organization. Two videos document the “Making of” the book advertising for it. Further on the ADFC organized workshops for different target groups e.g. students from the university on how to promote cycling among children and how to teach safe cycling. These activities are described in an educational concept. 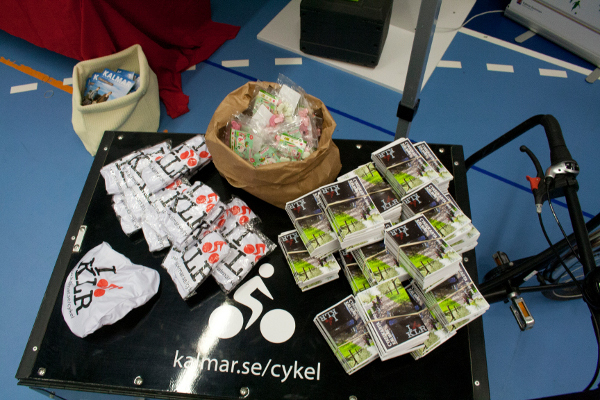 In 2013, Kalmar developed a training curriculum for its employees on communication and cycling campaigns. With the newly finished marketing and communication plan for cycling promotion in Kalmar, there was need for an education program for employees which informs and educate how to work with the document in real life. The training exists of half day presentation and exercises. - Meeting with the press: Introduction to mass media, journalists and what makes an event a news item. - Rules of conduct for municipality employees for meetings with the press. - How to write press releases? - How to deal with interviews? - Cycling communication plan, graphic design and how to use the campaign materials. All primary schools and gymnasiums have benefited from the installation of new bicycle parking facilities this year. To increase awareness and to make using these facilities more attractive, cycling will be promoted more actively among pupils. 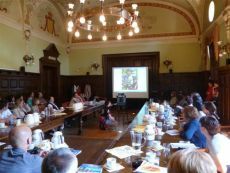 On the 8th of May 2013, the City of Gdansk and the City Council of Road Safety jointly organised a conference for teachers, who are willing to support the process. The idea is that they are to become local experts on cycling, go-to persons in all matters related to cycling, for pupils as well as for colleagues and parents. As a result of the conference, there will be organised cycle trips to attractive destinations in Gdansk and the surrounding area. The hope is that by getting kids used to cycling in the urban environment, they will get more interested in cycling in general and take up cycling to school. 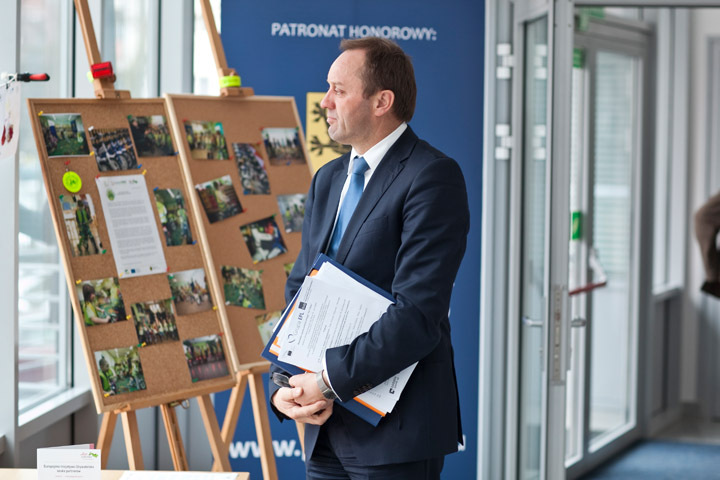 Over 400 school students from Denmark, Lithuania and Poland got inspired during the South Baltic Edutainment Day 2013 on 18th September 2013 in Gdansk. Several South Baltic projects came up with innovative ideas following the main theme of the maritime cross-border co-operation in keeping with the tagline “Catch the South Baltic winds in your sails, explore, discover, get inspired!”. The abc.multimodal team presented folded bicycles, used on daily basis by the City of Gdansk officials, as an example how to integrate bikes into the multimodal transport system. 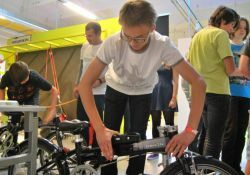 School students had a chance to figure out how to fold a bike, to have their performance timed or to compete with their colleagues and win practical bicycle rain coats. The participants aged between 12 and 19 have taken part in numerous activities including virtual tours, eLearning, eGuides, interactive games, artistic installations, performances, augmented reality, demonstrations, screenings, hands-on experiments, lectures and tangible models. This way the South Baltic Programme contributed to a series of events all over Europe to celebrate the European co-operation. 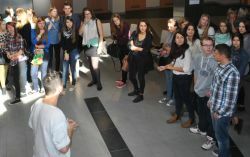 The event was designed to resemble a school day integrated with English class curricula. The abc.multimodal project with its bicycle folding-unfolding contest fit nicely into the sustainability theme among attractions such as a photo gallery depicting various renewable energy sources authored by school students (project RES-Chains), electric bicycle trial rides (project ELMOS), or a direct dialogue with urban planners on sustainable mobility (project BAYinTRAP). 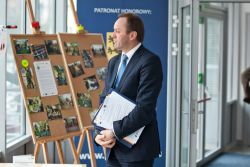 The South Baltic Edutainment Day 2013 was conducted by the Joint Technical Secretariat of the South Baltic Programme in co-operation with project beneficiaries, the Gdansk Science and Technology Park and EduPark Gdansk. 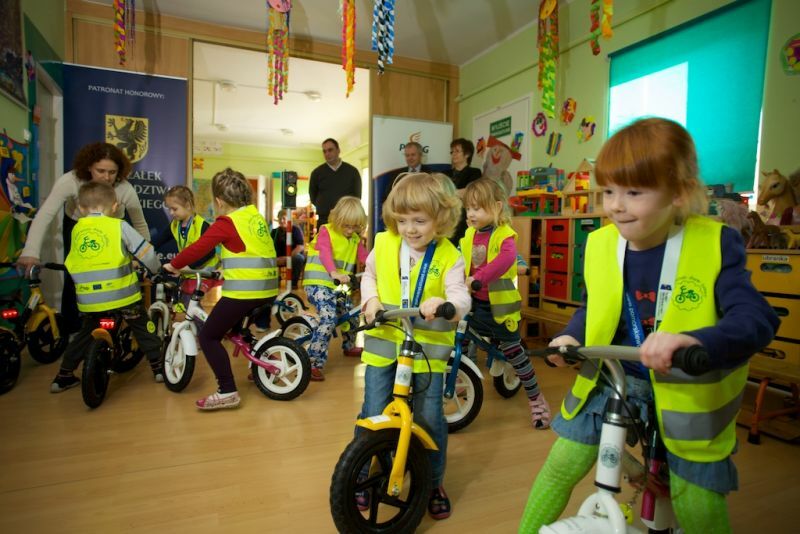 On the initiative of the Polish Union of Active Mobility (PUMA), an edutainment campaign “My First Two Wheels” was carried out at the turn of January and February 2013. The project was intended to introduce the youngest children to the joy of cycling by providing them with an opportunity to ride simple ‘running’ bikes. 120 children had the opportunity to ride those bikes for a week within the framework of a pilot project implemented in four kindergartens of the Nowy Staw, Cedry Wielkie, Starogard Gdański and Smołdzino communes. 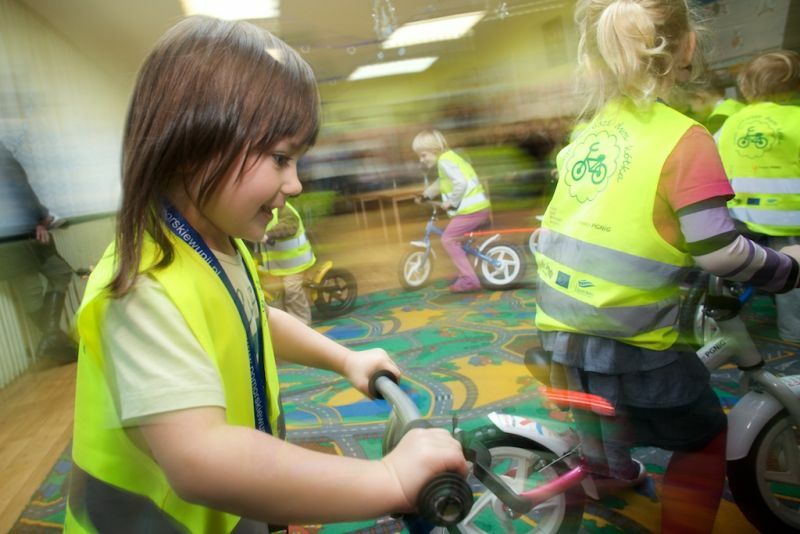 The kids could try and learn to cycle indoors and outdoors. Cycling lessons were combined with quizzes, in which everybody was awarded with a small road traffic safety gadget. Particular stress was put on the issue of “being seen” in the roadway. The bikes have also been used by children on their way to and from the kindergartens. Observations proved that children very easily absorbed knowledge and naturally accept the use of reflective elements on their clothes. Besides that children are an excellent channel of transmission of road safety messages to adults: they draw the attention of parents or tutors to the need of wearing reflective vests or some other reflective elements while cycling on their running bike. At the same time, during the art lessons the children could use an educational package composed of colouring books and cartoons explaining sustainable transport issues. The kids could colour the picture of a bike of their dreams, or paint a picture of a tram, train, bus or trolleybus as they wished. The most interesting pictures were presented at an exhibition organised in the hall of the Marshall’s Office of the Pomorskie voivodship. The exhibition enjoyed a lot of interest among the members of the regional parliament. 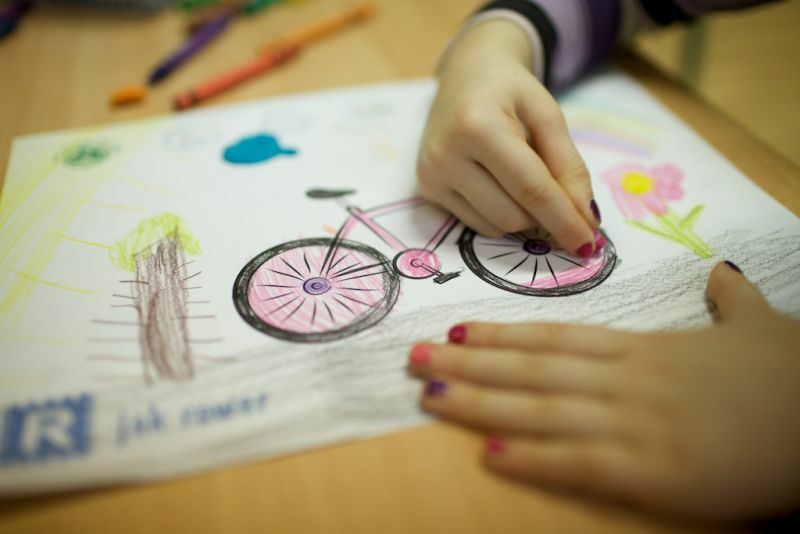 The motivation of the project resulted from the need to overcome existing stereotypes connected with children cycle training. The traditional approach consisted in starting to ride a pedal bike with side wheels at the age of 5. It appears, however, that in many instances the side wheels produced counterproductive effect, not allowing to develop the natural propensity to retain the balance. “Running bikes” proved to be an excellent alternative – while riding a bike without pedals the child becomes much better prepared to start riding a conventional pedal bike without any problems. The organiser of the “My First Two Wheels” campaign was the Polish Union of Active Mobility (PUMA) – an association, which aims to improve the conditions and promote active mobility, i.e. all forms of daily transport modes which use natural human energy, such as walking and cycling – by themselves or in connection with public transport. The campaign was supported by the Polish Oil and Gas Company (PGNiG) I. Łukasiewicz Foundation, volunteers from the Pomeranian Branch of the PGNiG in Gdańsk and the Marshall of the Pomorskie Voivodship – Mieczysław Struk, who assumed the role of the honorary sponsor of the project.